Pure Green is a locally owned lawn care company specializing in residential lawns. We know what Nashville lawns need. 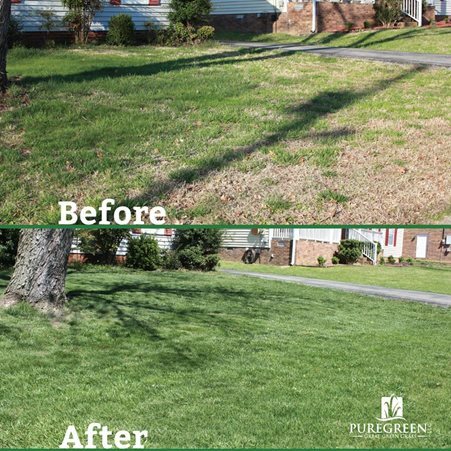 Pure Green, LLC is a locally owned lawn care company specializing in residential lawns in Davidson and Williamson County. We use the most natural lawn care products available. Our products of choice use natural micro-organisms that turn a small amount of fertilizer into the most effective and natural grass treatment available. Our fertilizer is plant based, 100% organic, and allows us to reduce the overall chemical footprint dramatically.